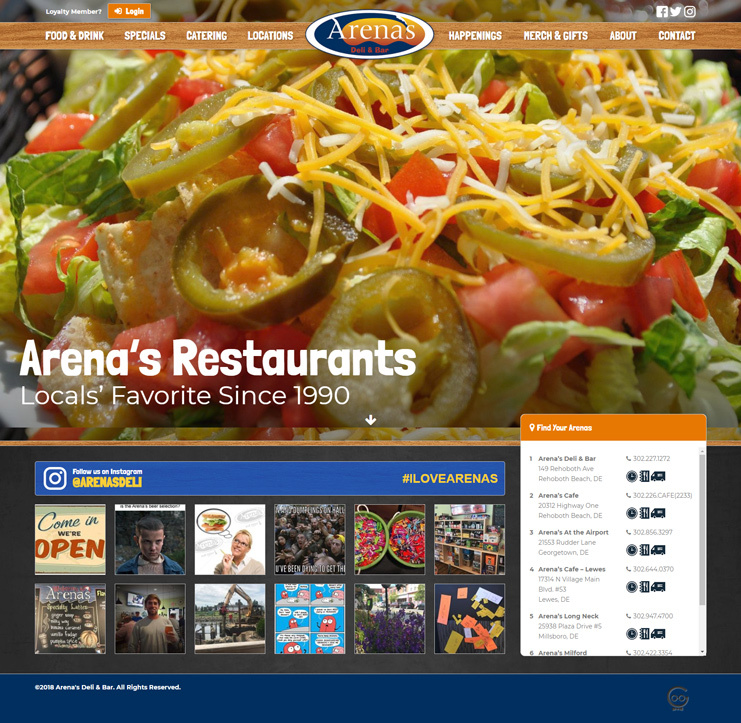 A vibrant new website for a local favorite casual dining experience. Create an easy-to-read website that feels fresh and inviting. The old website was often hard to read due to dark color choices. Ensure the site is mobile friendly. The new website is bright and exciting compared to the dark old website. The various locations are boldly displayed on the homepage along with the restaurant's Instagram feed. This mouthwatering website has us ready for lunch already.